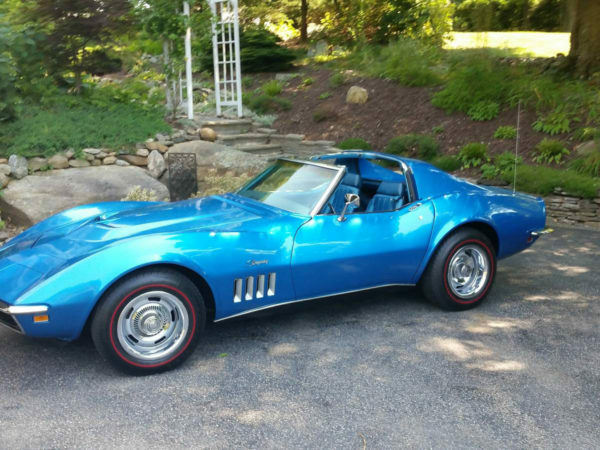 I’ve always liked Corvettes and it had a long-held place on my bucket list, so I decided to go for it. I bought a 1988 triple-black, Z-52 convertible like the one at left. Unfortunately, I have no remaining pictures of my actual car but the image at left is identical to what I had. It was fun, but I kept thinking that a 1992 or later with the 300HP LT-1 might be more fun, so eventually a trip back to the classic Corvette dealer was in order. 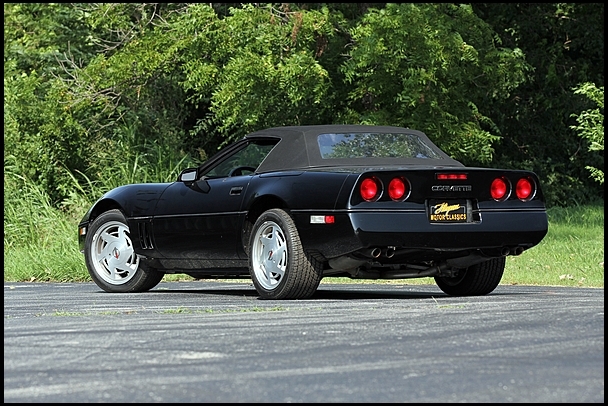 Again, the picture at left is identical to what I bought as a replacement for the ’88 Corvette. I should have done some better homework, because the extra horsepower in this LT-1 Corvette didn’t make up for the weaker handling compared to the Z-52 version. So it didn’t stay with me long and I decided to try something a little bit different. Sometimes, there’s just no shaking the itch. So the ’69 Stingray is in my garage as of this writing. It’s originally a 350/350 4-speed car, but the matching engine was blown up long ago by a previous owners son, so it now has a ’71 400 with an Edelbrock performance package.